The impact sepsis has on U.S. healthcare can't be denied. As the leading cause of death in U.S. hospitals and the nation's third leading killer, sepsis kills 258,000 patients (Sepsis Annual Report) each year - one every two minutes, according to recent research from the Sepsis Alliance. However, improving mortality outcomes in this country can be achieved if we figure out how to treat sepsis more timely and effectively. The answer to treating sepsis more effectively lies in identifying the condition sooner, particularly because the risk of death from sepsis increases by eight percent (Sepsis Annual Report) each hour that passes before treatment begins. In fact, as many as 80 percent of sepsis-related deaths could be prevented with more rapid diagnosis and treatment. Therefore, early detection is the key to helping nurses improve sepsis-related outcomes. clinical surveillance tools that utilize analytics will help clinicians know how to prioritize the order in which they see patients - specifically, which patients require attention sooner than others. More specifically, if nurses and physicians are able to detect and treat signs of patient deterioration before a patient's condition becomes critical, they effectively reduce the need of a rapid response or code blue down the line. The healthcare industry at large can benefit greatly from leveraging data and predictive analytics to provide higher quality care and reduce costs. More specifically, nurses benefit from more sophisticated tools that can help them identify sepsis more timely and effectively. Technology can help nurses leverage available, but siloed, healthcare data to recognize subtle changes in patient condition, minimizing the problem of late-stage treatment of sepsis, when outcomes are much less favorable. The potential for existing and future healthcare technology is not only exciting and powerful, but also critical for treating the 26 million people (Sepsis Annual Report) worldwide each year affected by sepsis. Nurses are already moving as fast as they can to keep up with a patient population that keeps getting sicker and sicker. So, how can we truly get ahead of sepsis without asking hospitals to increase clinical headcount? Speed of care is critical to controlling sepsis and reducing related mortality rates, but it isn't a matter of asking nurses to work faster - the key is using validated technological tools that analyze electronic health record (EHR) data with nursing assessments to aid nurses in identifying sepsis earlier and to allow them to work smarter. 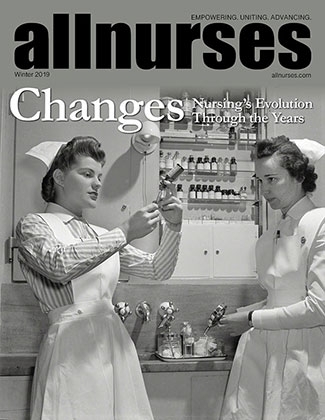 Nursing assessments have long been considered a standard nursing practice. They are rich in detail, but are often only used for patient hand-offs when one nurse's shift ends and another's begins. However, the value of nurse assessments is significantly higher in combination with the advent of clinical and predictive analytics. 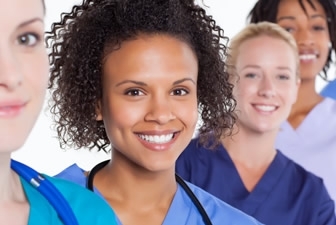 Nursing assessments consider body systems from head-to-toe, enabling nurses to systematically and holistically determine the linked systems of the human body. Additionally, they frequently identify changes in a patient's condition - either in a single or multiple body system - prior to seeing that change in lab or vital signs. Why not leverage information from these systematic patient assessments in conjunction with standard diagnostic findings (labs, imaging, etc.)? Under normal circumstances, a patient's body temperature, respiratory rate, heart rate, level of consciousness and white blood cell count are factors that are currently considered when determining whether a patient is septic. However, these factors only provide a fragmented view of the patient. Leveraging information from holistic nurse assessments can provide a more comprehensive picture of the patient's health. This approach enables care providers to leverage all health data available. Clinical analysis of all health data available can help detect subtle signs of patient deterioration that may indicate sepsis, enabling nurses to treat sepsis more proactively. Real-time and predictive clinical surveillance tools that synthesize available but siloed clinical data can paint a detailed picture of a patient's condition, signaling broad signs of deterioration before they're otherwise noticeable. Not only do these early warning signs of change enable nurses to proactively intervene before further progression occurs and situations become urgent, but they also enable a transformation in care team workflow. At a higher level, clinical surveillance tools that utilize analytics will help clinicians know how to prioritize the order in which they see patients - specifically, which patients require attention sooner than others. More specifically, if nurses and physicians are able to detect and treat signs of patient deterioration before a patient's condition becomes critical, they effectively reduce the need of a rapid response or code blue down the line. The healthcare industry at large can benefit greatly from leveraging data and predictive analytics to provide higher quality care and reduce costs. More specifically, nurses benefit from more sophisticated tools that can help them identify sepsis more timely and effectively. Technology can help nurses leverage available, but siloed, healthcare data to recognize subtle changes in patient condition, minimizing the problem of late-stage treatment of sepsis, when outcomes are much less favorable. The potential for existing and future healthcare technology is not only exciting and powerful, but also critical for treating the 26 million people worldwide each year affected by sepsis.